The high school library has gone over quite the makeover the past year or so. 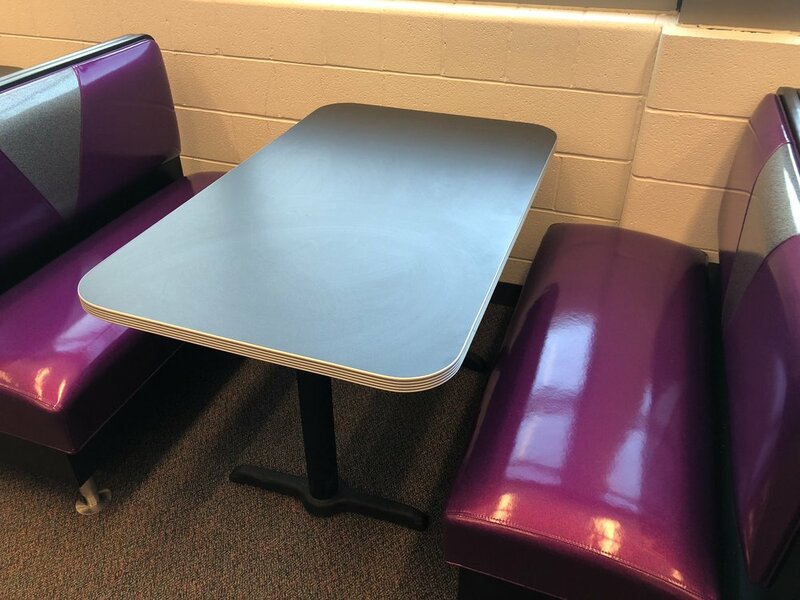 We have recently purchased new furniture for the library in an effort to create a more inviting space for the students. This was nearly a two year process of planning and gathering funds for the project. After generous donations from the family of Bobbie Hannon, grants from multiple providers, the assistance of a number of Wilmington’s community organizations, and the assistance of many members of the Wilmington school community the dream was finally realized.